I knew, when we moved to London, that life would be very different – no car, different food, and a completely different lifestyle. What I didn’t expect, though is that I’d enjoy the change so much… or that it’d have such a big impact on my health, fitness, and general outlook. Two Different Locations. Two Different Lifestyles. Normal days in Seattle: Wakeup. Drive 30 mins. to work. Sit at my desk most of the day. Maybe walk a few blocks to get lunch from some place in Pioneer Square. Eat lunch at my desk. Work some more. Drive 30 mins. home. Sit on the couch watching bad TV with my wife or sports by myself. Eat dinner. Watch more TV. Go to Bed. Repeat. Normal days in London: Wake up. Eat breakfast (WHAT?). Walk 12 mins. to work. Sit at my desk. Run upstairs to Initiative. Run downstairs to UM. Work at my desk. Walk to lunch. Eat outside. Walk back to work. Work at my desk. Run downstairs to UM. Run upstairs to Initiative. Work at my desk a bit more. Walk 12 mins. home. Eat dinner with Camille. 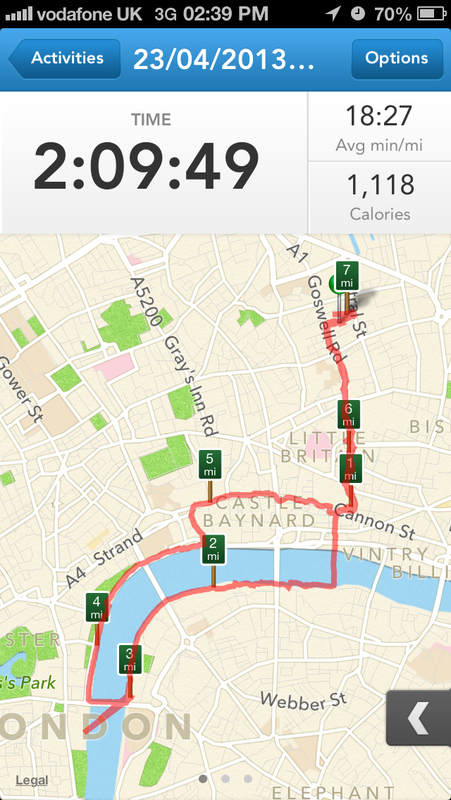 Go for a walk around London. Watch TV. Go to bed. Repeat. Now, I haven’t changed my profession at all, so my job does really entail sitting at a computer pouring over PDFs, PPTS, spreadsheets, web pages, and Word docs. What has changed, though, is most of the stuff surrounding that. I’m more mobile than I ever was in Seattle. Yes, I miss our car and I miss driving, but living a mainly pedestrian lifestyle has definitely added to the overall impact on my health and fitness over the past 4 months. Everything in London is harder. Getting groceries is harder. Going shopping is harder. Going to the movies is harder. Usually, that’s based on the fact that we’re not used to using public transit and walking everywhere – but I have to say I definitely like it. I’m a geek (big surprise). 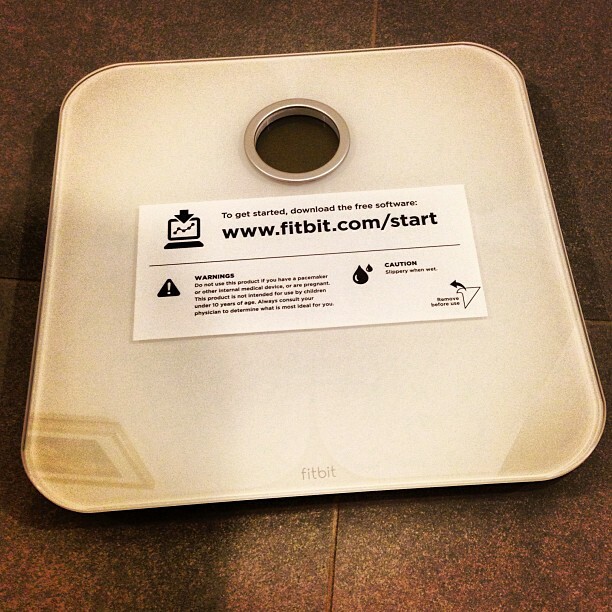 So, when I heard about FitBit some time ago I really got excited about something to tie my health to technology. There are plenty of people who lose weight and get healthy without gadgetry… but there are also people who don’t have the internet, so you can decide what’s right and what isn’t. I use a couple different gadgets/technologies to help me keep track of how much I’m eating, how active I am, and how those two are affecting my body. This little thing is with me every day (edit: I lost it the other week actually, so it’s no longer with me every day, but I’ve got a new one coming in the mail). FitBit is a pedometer-based gadget that keeps track of things like steps, calories burned, distance traveled, flights of stairs climbed, and also gives you a reading of just how active you’re being. 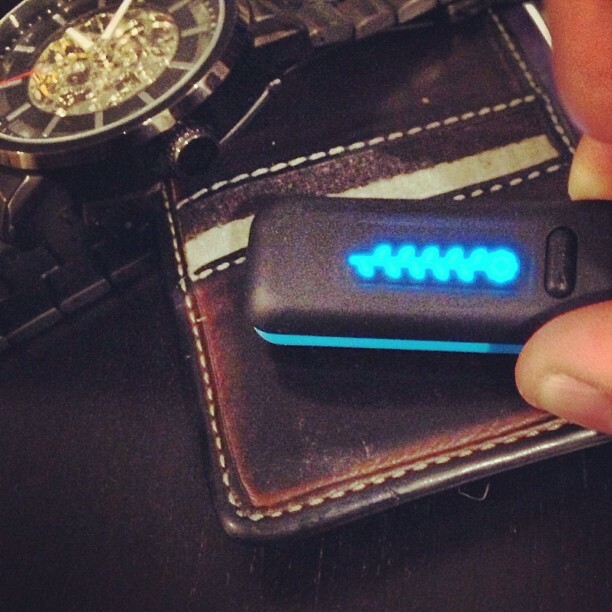 The best part about FitBit isn’t actually the great little gadget that rides with me everywhere (I usually clip it onto the small pocket on my jeans), but the online portal that lets you track your progress, see your friends’ activity (and compete against them), and talk in the forums with people just like you. Plus… BADGES! Who doesn’t love badges and achievements? I first saw the Aria at CES a couple years ago and immediately wanted one – but chose to wait a bit for the kinks to get worked out (something very hard for me to do). For Christmas this last year, Camille surprised me by getting me an Aria – someone was listening! The scale, made by FitBit syncs with your wireless network to update FitBit.com (and therefore the app on your phone) with your weight and BMI info. 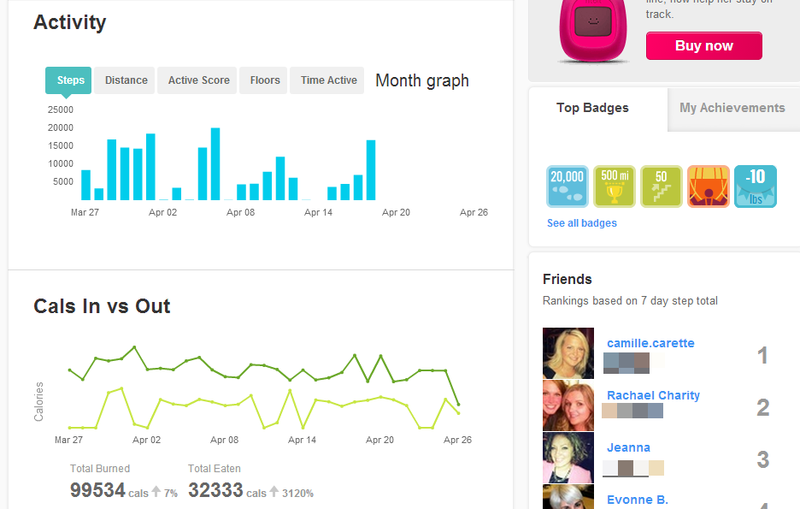 It’s an incredibly smart way to track how your exercise and eating habits are creating actual results. The setup process was a bit of a bother, but I found some really helpful info online that eventually led to me setting it up using my iPad instead of our PC and BOOM – it was working in no time. Aria allows for multiple user profiles and it actually recognizes each user when they step on the scale. So, in our house, that means both Camille and I can use the Aria without even having to pick it up off the floor or fiddle with any buttons via our toes. When you watch shows on TV about weight loss, one of the first things they have them do is track everything they’re eating in food diary. I don’t like writing things down, so naturally I found an app to replace that. 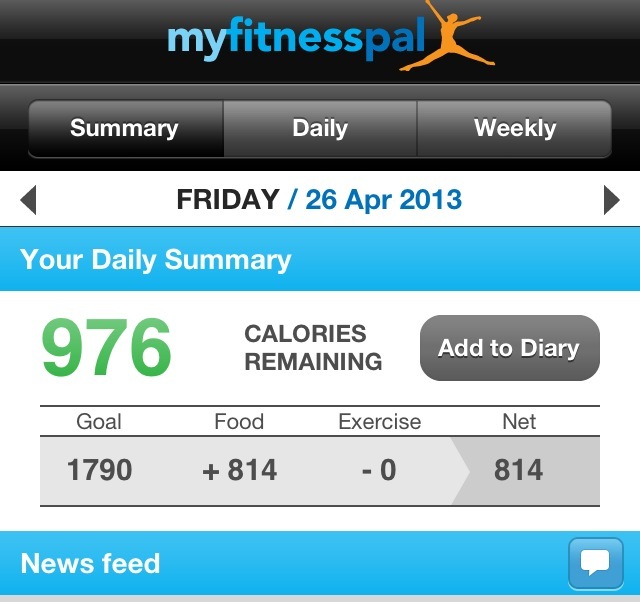 MyFitnessPal is a great site (and app) that lets you track everything you eat along with all your exercise. I’ve yet to find something that I can’t find a pretty close match for in their database of nutrition information, so that’s pretty awesome. The iOS app also has a barcode scanner that lets you scan items and pull up their nutritional information. I’ve been a fan of RunKeeper for a while, but kind of go between using it and not using it. The GPS-enabled app tracks your runs/walks/gym workouts and assigns caloric burn information to them. It’s pretty great for looking at exactly where you’ve been during your workouts and when I lost my FitBit, it’s served as a good replacement for tracking calories burned – but only when you turn it on. For those worried about sharing your location, you can turn off map sharing and change the level of access people have to your workout information. I’ve actually seen some pretty great results without drastically changing much besides eating habits, being more active, and actually tracking (kind of too much at times) how I’m doing in each of those areas. So far, I’ve lost 22 pounds and 12% body fat since we moved to London… needless to say my jeans are getting a bit too loose (which is a problem because everywhere here wears tight assed jeans). Digital Darwinism: Is Tech Changing the Way Business is Done? Got a FitBit and Aria myself. Great having the stats. Congrats on the weight loss!